Over the last 15 years, we have become the leading Atlanta pool maintenance company. We have developed a thorough cleaning method that keeps your swimming pool safe, clean, and always ready for you to have incredible times full of love and fun with your family. Our team has the right set of skills to leave your swimming pool with pristine-quality water. Thanks to it, your loved ones only have to worry about having fun and love-sharing. Even though the latest tech pool equipment has made possible to reduce the cleaning burden from pool owners, there still some upkeep and maintenance that needs to be done regularly. A swimming pool is a wonderful amenity to have. But if you don’t care about its regular cleaning, you won’t take advantage of all its benefits. Surely, you have an extremely busy life. But by hiring the right swimming pool cleaner, you’ll make sure that your in-ground pool gets the attention it needs. 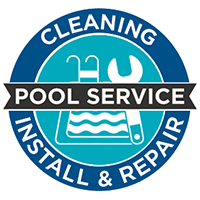 Our pool maintenance services in Atlanta GA will guarantee that your pool is free of contamination, algae growth, and anything other than crystalline water. By partnering with us, you won’t have to spend hours taking care of your pool cleanness. Instead, you just need to relax and enjoy playing, swimming, and laughing with your loved ones. As one of the leading Atlanta pool service companies, Clear Water Pools LLC offers excellent flexibility to meet your needs and your budget. By doing this, we guarantee that your pool is always sparkling so that you can dive into fun and love with your family. We use the most efficient cleaning products and materials. Put your trust in the best Atlanta pool experts. CALL US AND WE’LL LEAVE YOUR POOL SPARKLING!